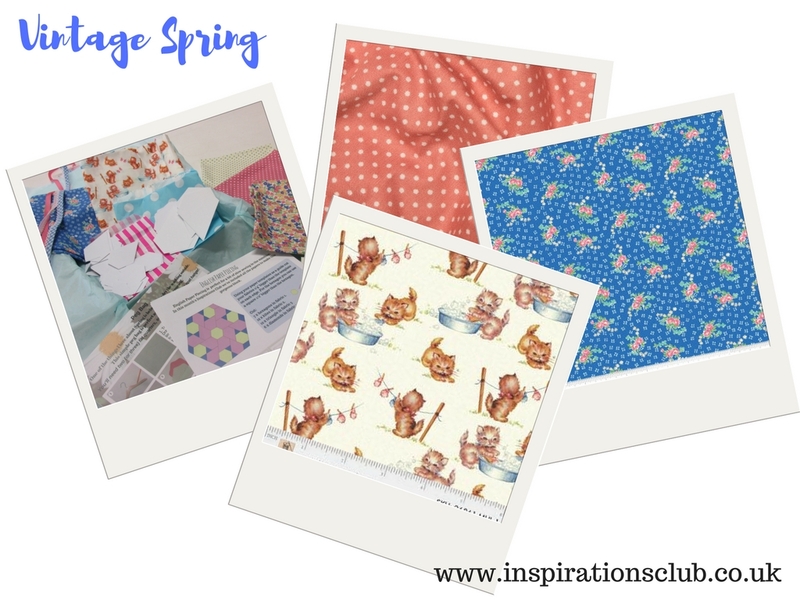 Every month we bring out a new box of carefully curated fabrics, ribbons, buttons and other crafty goodies with instructions for two suggested projects so that you can get making straight away. Washington Street Studio specialises in reproduction vintage fabrics. This cute kitten print from That's my Baby by Sara Morgan is perfect for some spring sewing. We've continued the vintage theme with gorgeous floral reproduction prints by Penny Rose fabrics and a lovely dusky pink spot by Rose and Hubble. Contents: Fat quarter from That's My Baby! by Sara Morgan for Washington Street Studios. Fat quarter Blue Mae Bouquet by Cottage Mama for Penny Rose Fabrics. Fat quarter Pink Mae Floral by Cottage Mama for Penny Rose Fabrics. Fat quarter dusky pink spot by Rose and Hubble. 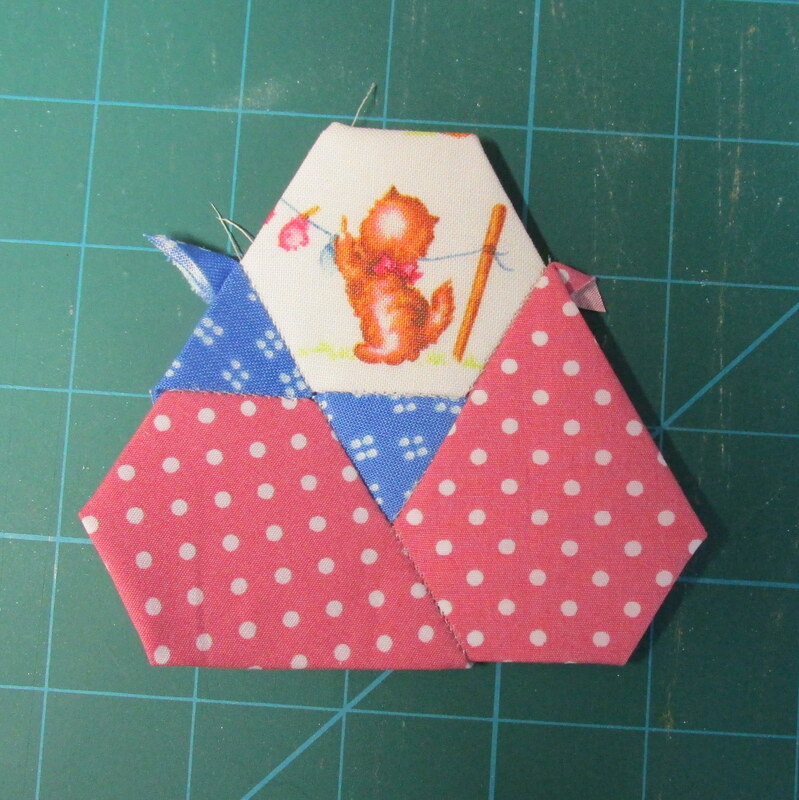 Fat quarter cream with baby blue spot by Rose and Hubble. 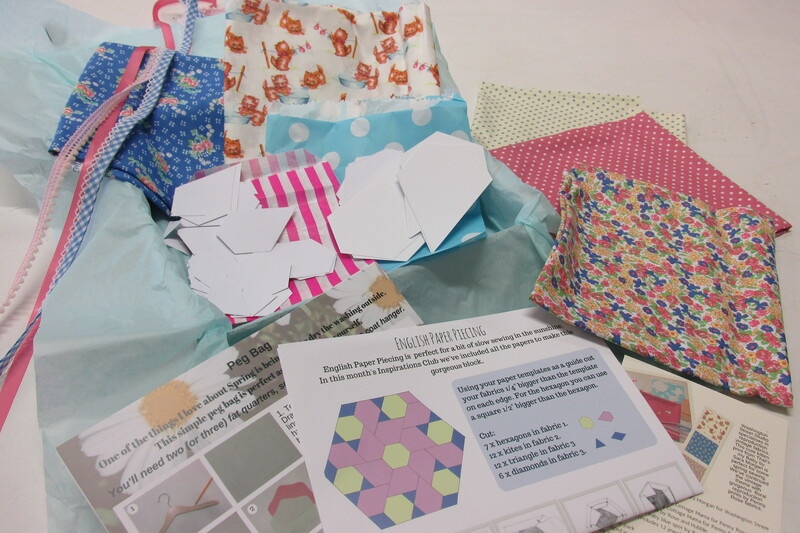 1" EPP papers pack (includes 12 jewels, 12 triangles, 6 diamonds and 7 hexagons) 1.5" EPP paper pack 1m lace edged gingham bias binding 1m baby pink mini pom pom trim Three flower buttons Clear step by step instructions for a paper pieced patchwork block and a peg bag.